In bear and bull markets, over longer time periods, index funds always perform better than their active alternatives. 2. They are passively managed, which removes the risk of human error. Why then do we hear so many conflicting arguments from active fund managers, pundits and the financial press? 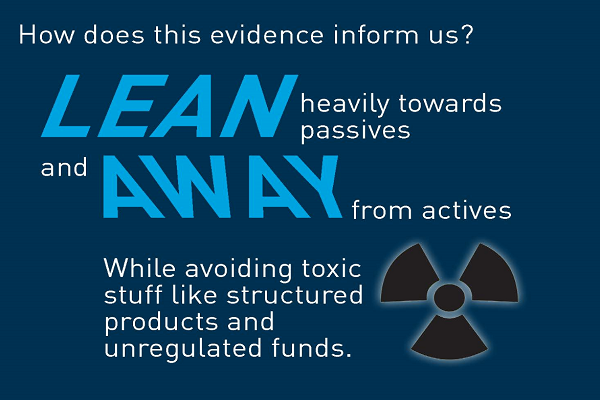 Here are 5 formidable facts that prove passive investors will always win. After accounting for costs, the passively managed pound will always outperform the average actively managed pound. Nobel Prize winning economist William Sharpe proved this in his paper The arithmetic of active management in 1991. Index investors hold the market portfolio; they hold each stock in proportion to its market value. Active investors (as a group) and each passive investor will earn the market return, minus whatever they pay in investment costs, because they hold the market portfolio. Because active investors pay significantly higher costs compared to index investors, active investors earn a lower average return per pound invested. It is one of the very few mathematical certainties in investing. 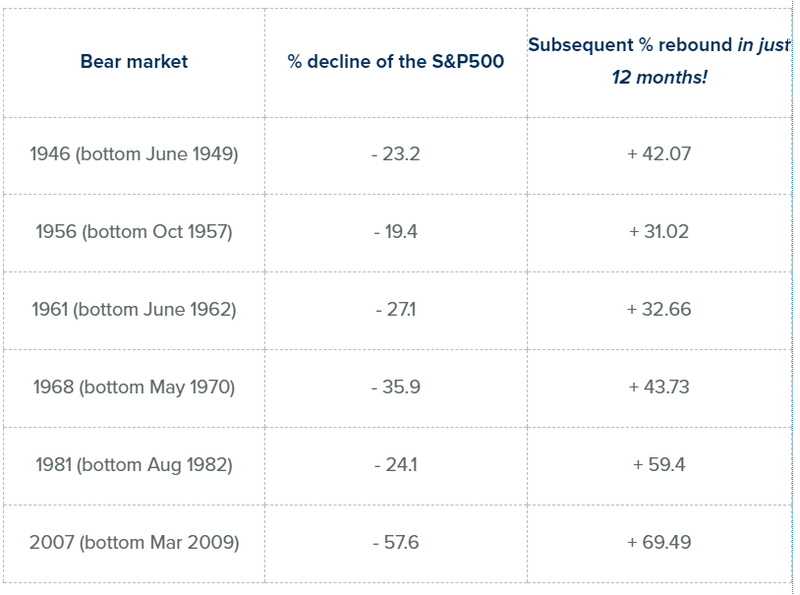 The performance of actively managed funds during bear markets has been inconsistent. 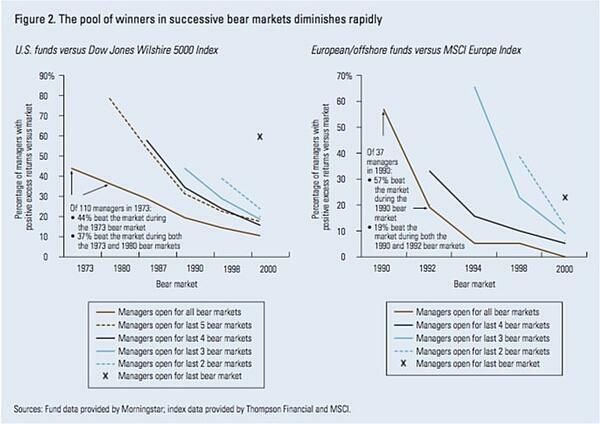 The success of an active fund manager in one bear market does not guarantee success in subsequent bear markets. Therefore, despite what active proponents say, index investors are not at a disadvantage during a bear market relative to an actively managed fund. This is despite the supposed opportunity for an active manager to add value or act defensively. To consistently beat both the market and style benchmark, an active fund manager must accurately time the start and end of a bear market. They must also select winning stocks during each period and return profits in excess of fees. 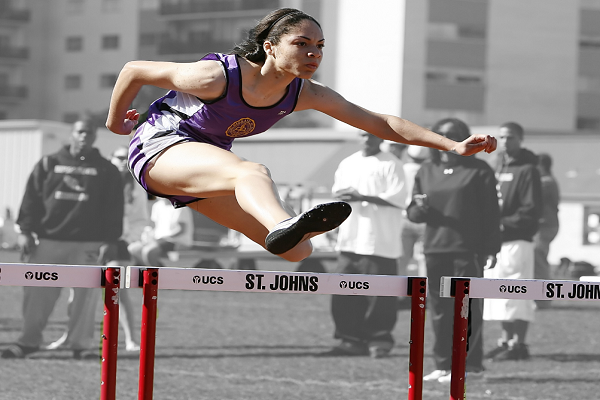 This impossible combination of costs, security selection and market-timing proves an insurmountable hurdle for the majority of active funds to consistently overcome in any environment. In a report from researchers at S&P Down Jones Indices entitled Fleeting Alpha: Evidence From the SPIVA and Persistence Scorecards, it was demonstrated that out of over 1,000 large-cap funds that existed in 2013, only 19.73%, or 204 funds, outperformed the S&P 500. In the following year, only 15.69% of those 204 funds outperformed the benchmark. By the end of the third year, none of those original 204 outperforming funds were able to outperform the S&P 500. In the very latest edition of Morningstar’s biannual Active/Passive Barometer, it’s proven that actively managed funds have failed to survive and beat their benchmarks, especially over longer time horizons. Morningstar states that investors greatly improve their odds of success by favouring low-cost funds, which succeeded far more often than high-cost funds over the long term. I feel lucky to live in an age where I can get evidence backed answers, instead of the self-interested sales spin my parents were given. I don’t need an upmarket company name, a free lunch and a well-spoken, well dressed, charismatic ‘manager’ to make me feel confident about their investment decisions. I am happy that technology and science can get me better results with lower costs. So, there you have it. 5 indisputable truths proving index funds always perform better than their active alternatives over longer time periods - in bear and bull markets.